Posted on December 18, 2017 at 9:37 am. Dunder will also be announcing its Silver Prize winners from the first week of the Christmas Calendar, with first place taking home a Mens Omega Speedmaster Professional Moonwatch or an Omega Aqua Terra Grey Dial Ladies Watch, second place scoring €1000 cash, third prize raking in €500 cash and 247 other lucky players winning free spins to use on the Fairy Gate slot game. To read more about the Silver and Gold prize pools, read our original Dunder Christmas Calendar promo. Terms, conditions, exclusions and eligibility criteria apply. We strongly recommend you read the full terms and conditions of this promo at Dunder.com before taking part to make sure you understand your wagering requirements and meet eligibility criteria. 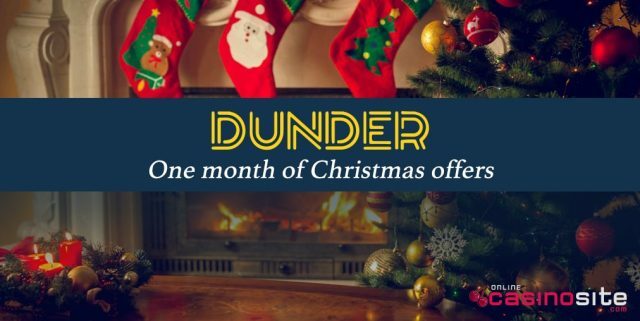 Dunder will also be releasing a bunch of new games this week, so there’s plenty of fresh content to keep you entertained as you take advantage of these Christmas bonus offers. We love Betsoft’s new Legends of the Nile slot that dropped last week, and are looking forward to Red Tiger’s two new titles, Wild Nords and Snow White Rocks, which will be released over the next few days. New to Dunder? Sign up today and you can claim up to €600 in matched deposit bonuses and 200 free spins when depositing for the first time. Dunder is a multi-provider casino site, hosting casino games from a collection of the world’s leading software developers, with all games available for instant-play with no downloads required.